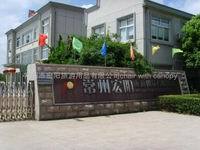 Changzhou B&W Tourist Products Co., Ltd. was established in 1998. With convenient transportation access, our company is located at west of Chanzhou City, near to the Huning highway. We have facilities covering an area of more than 20,000 square meters. In the past decade, our company relied on the principle of market. In line with the principle that "market is a direction, quality is a prerequisite, serving for the goal", now we have more than 300 workers, and more than 20 technical staffs. We have professional technological process, and have formed 7 series and more than 100 kinds of products. Especially for our tourist tent, military tent designed by ourselves, are favored by our customers. Our products are mainly exported to USA, France, Germany, Singapore and other countries. Our sales amount reaches nearly USD10 million every year. Our company will fully use of our advantage, continue investing, and develop new products. We warmly hope we could cooperate with friends come from all over the world to make a bright future together.